I wasn’t supposed to end up in San Francisco. If things had gone the way my mother originally planned, I would have lived a life full of country clubs and debutante balls in North Carolina. And, while I have a deep affection for that state, I’m so very glad things turned out the way they did -- that when I was six years old, my mother scooped me and my two brothers up and moved us 3,000mi across the country in an attempt to give us a better life. There are only a few cities in the US where, when you tell people you’re from there, they’re both impressed and surprised. In fact, outside of Manhattan and San Francisco, I can’t think of any others. It’s silly, of course. Being reared in a certain place is the same type of “accomplishment” as being attractive or coming from money. It’s not a real achievement; it’s just good luck. I know how fortunate I am to have grown up in such an amazing town. That my walks to school included sweeping views of the bay. 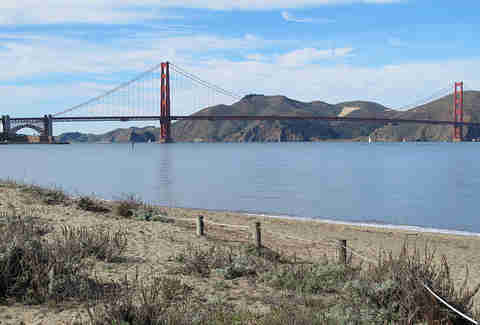 That bike rides involved going over the Golden Gate Bridge to get ice cream in Sausalito and family road trips were to places like Yosemite and Tahoe. That I always got a steamed pork bun on Clement St after my most brutal orthodontist appointments. 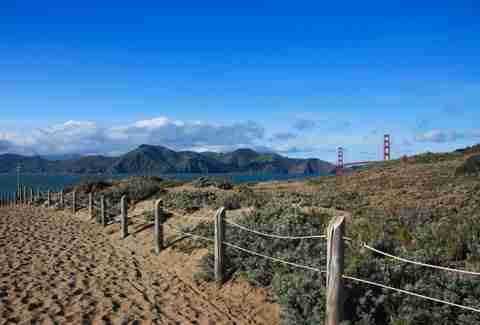 That I played hide and seek in the dunes on Baker Beach and roller skated in Golden Gate Park. That a city tourists flock to for its beauty and culture was simply my backyard. I know how fortunate I am and you can hear it in my voice anytime someone asks where I’m from. “San Francisco,” I say with a mix of wonder and pride. Of course, I did eventually leave San Francisco. First, against my will (to attend boarding school), then to New York, where I stayed for nine years (why? ), and finally, to the beach in North Carolina, a place so beautiful that, if it had the food and politics of California, would have been hard for me to leave. 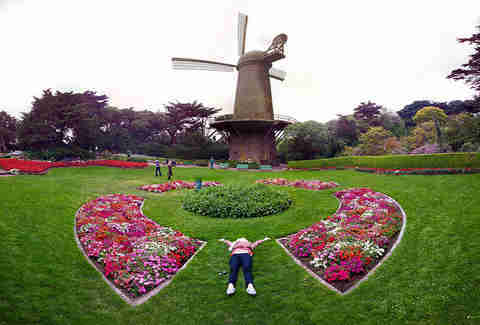 But eventually, in 2006, I found myself back in San Francisco. I found myself back home. The city had changed while I was gone, but spending time away only made me appreciate everything even more. This was where I was going to make my home. Life in SF was good. It was so good, in fact, that I declared to anyone and everyone who would listen that I was never ever leaving. My luck continued as the first apartment I looked at was a gorgeous, rent-controlled one bedroom in a neighborhood I loved. The price was right, thanks to the fact that SF’s second Internet bubble was only barely starting to inflate. (And thanks to the fact that I hadn’t yet decided to become a full-time writer.) I quickly and happily settled into my life here -- start-up parties with free booze, winter weekends in Tahoe, free summer concerts in the park, impromptu camping trips, learning how to surf, and so much of the best food in the entire world. Life in SF was good. It was so good, in fact, that I declared to anyone and everyone who would listen that I was never, ever leaving. Why would I leave? SF was perfect. There was no reason to ever live anywhere else. But lately... lately things have felt different. Sure, the city is still beautiful. And yes, the food is insane. And certainly it is nice to live in a town where political disagreements are between the left and the left-er. But the changes of late feel more dramatic than ever. Suddenly, the place I loved so much feels slightly sterile. And divided. And, frankly, a little unrecognizable. I don’t want to be yet another person who complains about how the influx of tech start-ups has ruined San Francisco. First of all, it’s not as simple as that, and second, I’m not willing to take on that battle. At least not today. That being said, it’s irrefutable the start-ups and the people they’ve brought with them have transformed the city. Some argue that tech companies are sucking the soul out of this town of artists and misfits. Others that San Francisco has changed before and will change again. That this particular change is a good thing for the city and the economy. All I know is that the city I grew up in -- the city that as few as five years ago I said I would never leave -- feels broken. That, for the first time in a long time, suddenly I’m not sure it’s where I want to spend the rest of my life. That, at the very least, I need a break. Not forever... maybe just for a year or two in a place that’s more relaxed. Where the people aren’t always staring at their phones. Or thinking about IPOs. Or working so hard that they never leave their mini-mall offices to give back to the city. Just a few years in a place where people smile on the sidewalk and don’t worry about Instagramming every meal... a place where money and the next technological advance aren’t as important as simply enjoying the good things life has to offer. Unfortunately, the very thing that’s making me want to take a break from San Francisco is also the thing that’s keeping me here. Because, thanks to the influx of tech companies and the resulting record-high rental market, I actually can’t move away from San Francisco unless I want to leave forever. Giving up my rent-controlled apartment would mean giving up the only thing that allows me to even be able to (barely) afford to live in San Francisco in 2015. That’s right: I can either leave San Francisco permanently. Or I can stay until I die. There isn’t an in between. At least not in this housing market. San Francisco is changing. And, while for some that’s a good thing, for many, it’s terrifying. For me, it's just starting to feel like we’re going in separate directions. That some space would do us good. That perhaps with time, this city I love will regain some its more attractive, bohemian qualities. That it will realize it’s meant to be a playground for all people, not just the rich ones. That balance and opportunity will be restored for all residents, not just a select few. That it’s worth slowing down and taking the time to question the changes and really examine if they’re good for everyone or just the elite ones. Yeah, a little space would do us a world of good. But San Francisco isn’t in a position to give me that right now. Instead, it’s given me an ultimatum: stay together or break up for good. And, because I love San Francisco so much, because I can’t imagine leaving for good, we’ll stay together. For now anyway. But I’ll do so with my fingers crossed, hopeful that the tides will change, that the city I love will regain much of what makes it so special, and that when the rain finally returns, so will San Francisco’s soul. If not, I’ll eventually move elsewhere. 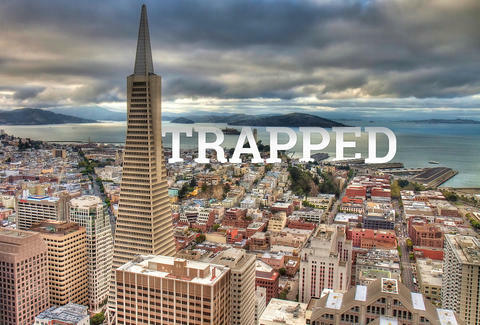 My heart will be broken to do so, but I’ll leave knowing that no matter where I am, when someone asks me where I’m from, I’ll say “San Francisco” with wonder, pride, and the hope that one day its Golden Gates will welcome me home again. Daisy Barringer is Thrillist's SF Editor and she cannot say enough how much she loves San Francisco. Even if she does need a teensy-tiny break. Follow her on Twitter @daisy.